From the West Entrance, Madison is the first junction that you’ll reach within the park. 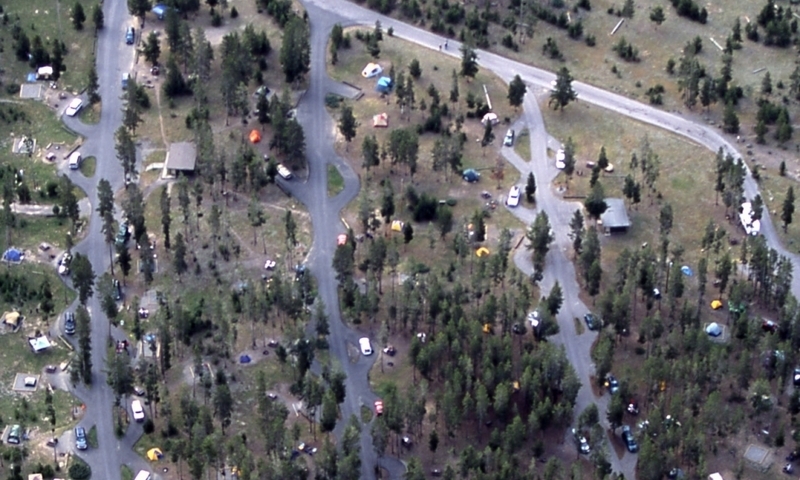 Services are limited to a campground and information station. The nearby Madison and Firehole Rivers make this a popular section among anglers. Just 14 miles west of the Madison Junction, the West Entrance offers easy access to all the services and amenities of West Yellowstone. Flowing west from Madison Junction, the Madison River is easy to access from many pullouts along the West Entrance road. Just northeast of Madison (towards Norris), the Gibbon Falls are hard to miss along the road. Pull off and enjoy the view over a picnic or just stop to take a quick photo. Head south from the Madison Junction and take your first right onto the one-way Firehole Canyon Drive. This drive offers great access for fishing the Firehole River, views of Firehole Falls, and access to a fun designated swimming area. Open from early May to mid October, the Madison Campground is one of the few campgrounds within the park that accepts online reservations. Easily enjoy the banks of the Madison River from this campground.